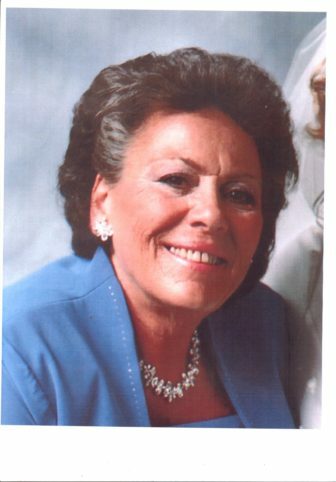 Linda Saverine Santarella, 72, a lifelong resident of Darien, passed away on Sept. 10. Linda Santarella, 72, passed away on Sept. 10. Her wake will be on Sept. 14, and her funeral on Sept. 15. She was born Sept. 22, 1945 in Stamford to Joseph and Josephine (D’Arrigo) Saverine. Linda graduated from Darien High School in 1963. She married Fred Santarella on Oct. 3, 1970. She coached her daughter in Lassie League and enjoyed cheering her children on at their many athletic events. Linda served Darien in so many different ways. She was a member of the Board of Selectmen, the first female on the Darien Police Commission, a longtime member on the Representative Town Meeting Planning and Zoning Committee, a member of the first Charter Revision Commission and the Downtown Task Force. Mrs. Santarella is survived by her son, Daniel, of Darien; son-in-law, Brian Hickey; and two grandchildren; Sean and Evangeline of Valhalla, NY; two brothers, Dr. Richard Saverine of Darien and Robert (Barbara) Saverine of Stamford; three nieces and two nephews. She is predeceased by her husband Frederick and her daughter Stacey. Visiting hours will be held from 4 to 7 p.m., Friday, Sept. 14 at the Edward Lawrence Funeral Home, 2119 Boston Post Rd, Darien. A Mass of Christian Burial will be held at 10 a.m., Saturday Sept. 15, at St. John Roman Catholic Church, 1986 Post Road, Darien. Interment will follow at Spring Grove Cemetery in Darien.